A close-up of the statue of Benjamin Franklin in front of the Old Post Office building on Pennsylvania Avenue in Washington, DC. 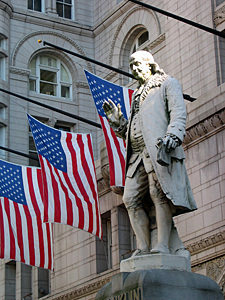 Add tags for "A close-up of the statue of Benjamin Franklin in front of the Old Post Office building on Pennsylvania Avenue in Washington, DC.". Be the first. <http://www.worldcat.org/oclc/841443524> # A close-up of the statue of Benjamin Franklin in front of the Old Post Office building on Pennsylvania Avenue in Washington, DC. schema:about <http://www.worldcat.org/oclc/841443524> ; # A close-up of the statue of Benjamin Franklin in front of the Old Post Office building on Pennsylvania Avenue in Washington, DC.